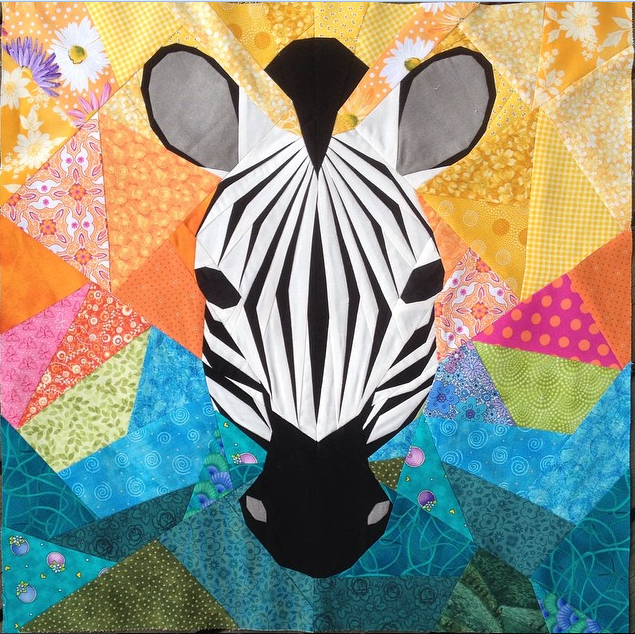 When the idea of a zebra block was first suggested- I laughed... I mean that would become insane wouldn't it?! ... but then I started thinking... 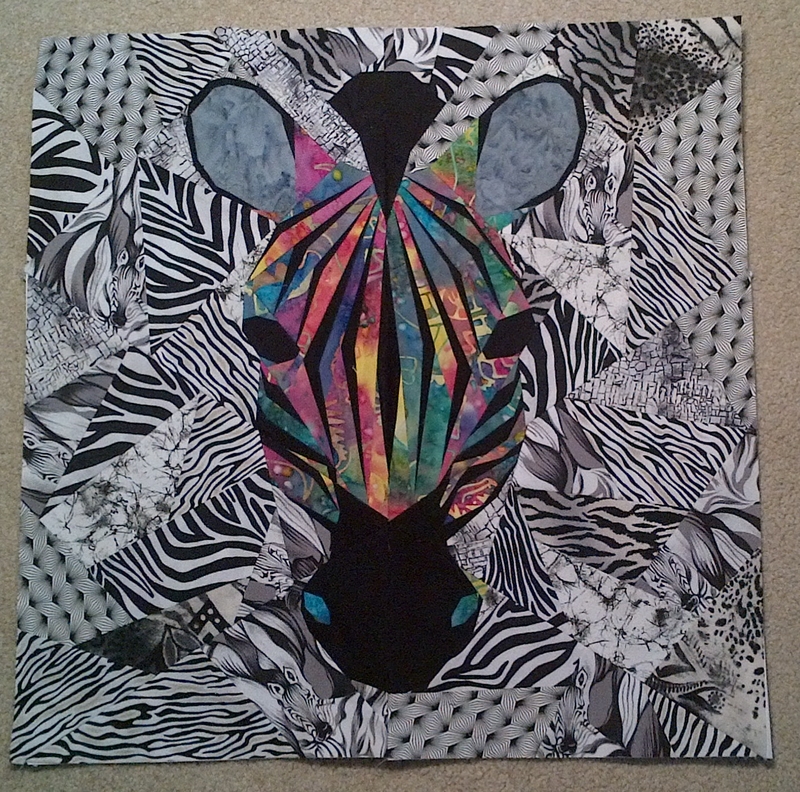 If I didn't make the stripes too complicated, it might just be possible. So I experimented and I played and I got the pattern to work. 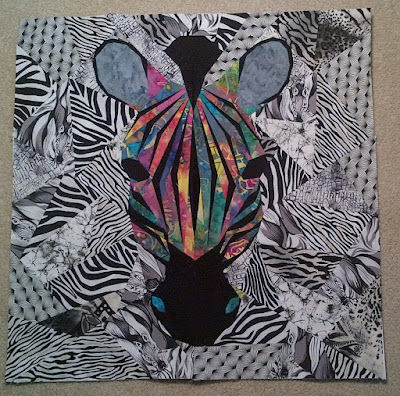 Then, I involved my colour loving child in the design process- a touch of genius if I do say so myself! 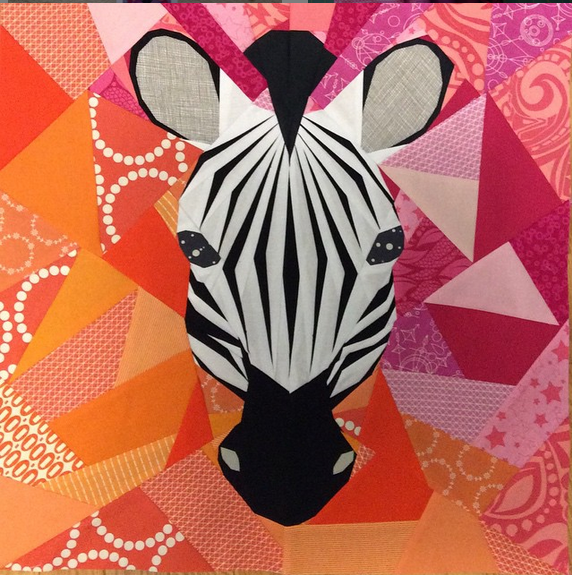 This zebra is the result of a collaboration with my daughter and judging by your overwhelming reaction to it, I think it's fair to say that you all love it as much as we do. 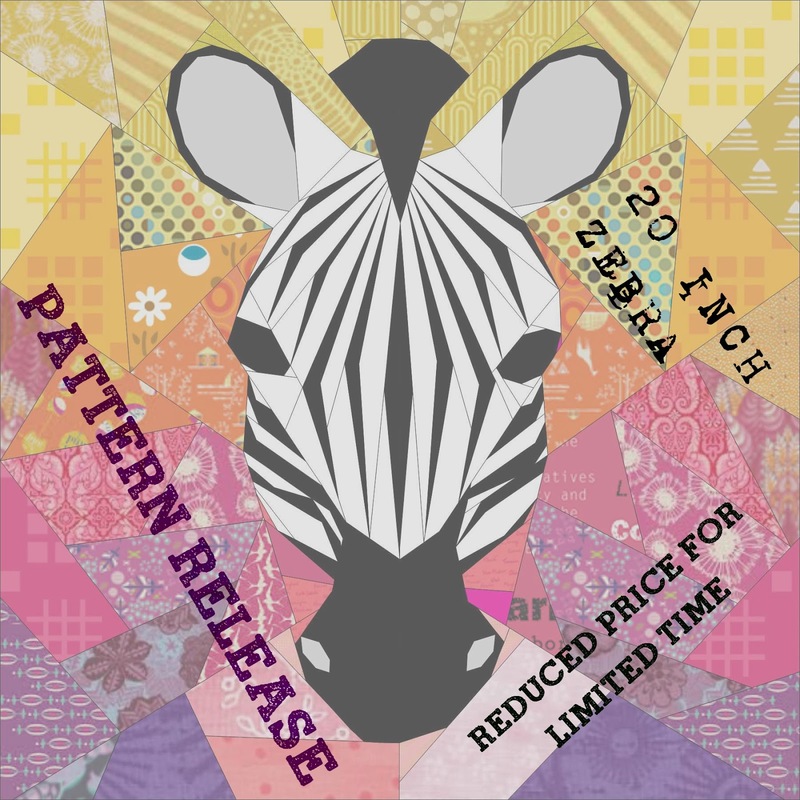 As a thank you for the enthusiastic reception that this pattern has received, I am releasing it at a 25% discount for a limited time. No coupon code is necessary. I always know that my patterns are in safe hands when Patti tests for me, once again she did not disappoint! I love the beautiful way that Carin crafted the background of her block, the colours blend so beautifully. 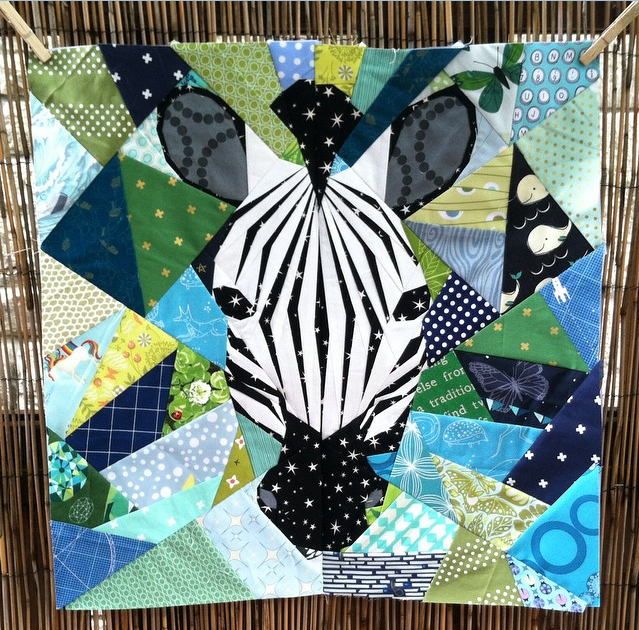 Just look at all the fun fussy cuts that Amanda included in her block! My favourite is the wee unicorn, although I do kind of wonder what those whales are doing in the Savannah! Each and every one of these testers has given their own unique help in the release if this pattern. I'd like to take a wee moment to say a huge thank you to all of them! Absolutely inspired - what a winning collaborative team you make :) Love it and beautiful different versions by your testers! Always fun to see all the different results! Just discovered your site and love all your patterns. The zebra is especially special. Thanks.